There is not a lot to go on but it’s great to see some breaking news for ZenPad tablets. The prolific leaker of leaks @evleaks is telling the world about the ZenPad Z8. So let’s get into the specs. 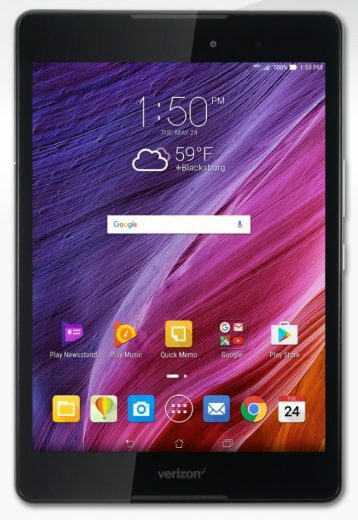 The Asus ZenPad Z8 has an 8-inch display with a resolution of 1536×2048. This is right on par with the ZenPad S 8.0. The Z8 is powered by a Qualcomm Snapdragon 650 processor and it has 2GB of RAM. Rounding out the specs, it comes with 16GB of storage, an 8-megepixel rear camera, a 1.8-megapixel front camera, and it comes with a microSD card slot. Update: So we are starting to piece together this Z8 tablet. This certainly appears to be the Z008 which showed up a couple months ago on GFX. See that article here. Later on, that same tablet showed up at the FCC. See that article here. Now we see this leak and it’s all starting to make a bit more sense. The benchmark specs are bang on from what we can see. Let’s talk a bit about the design we’re seeing. The side buttons seem more pronounced which could be considered an improvement upon the somewhat flat response of the ZenPad S 8.0 tablet. The speakers are pushed outwards now toward the top and bottom of the tablet. It’s hard to say the reasoning for that change right now. We are quite curious about stylus support also. What we don’t know is if this is the ZT581KL model that we’ve seen elsewhere. That is entirely possible.